The international version of the Hidden Figures trailer focuses less on just the three women at its center—Katherine Johnson (Taraji P. Henson), Dorothy Vaughan (Octavia Spencer) and Mary Jackson (Janelle Monae)—and more on the way other people react to them. 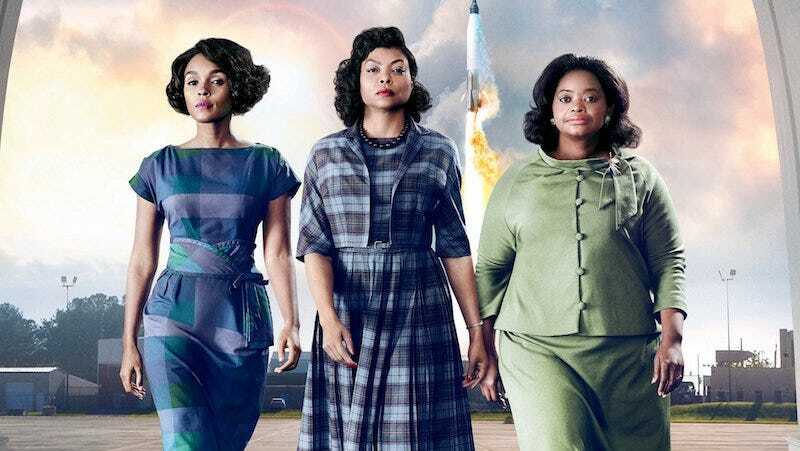 The first trailer we saw looked mostly at the hard work—and the disappointments—of the three black women whose unrecognized work was crucial to the success of Project Mercury and the 1969 moon landing. This one shows the head of the space program (Kevin Costner) being pressured to get into space, a lot more shots of John Glenn (Glen Powell), Paul Stafford (Jim Parsons) being a general impediment, and Vivian Jackson (Kirsten Dunst) telling the women to be happy to have jobs at all. Hidden Figures will be released January 13, 2017.